You have always wanted to have a T-shirt quilt made... and at some point you or someone you know started the project. But now you know that it will never get done unless someone else finishes it. 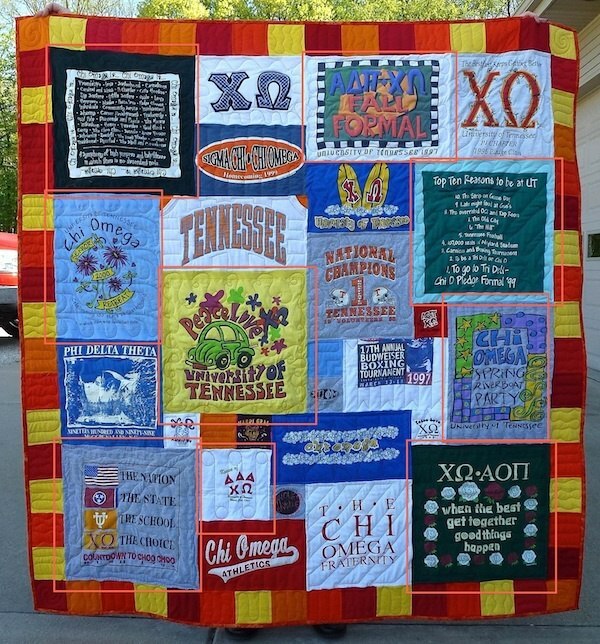 Can Too Cool T-shirt Quilts® finish it? YES WE CAN. 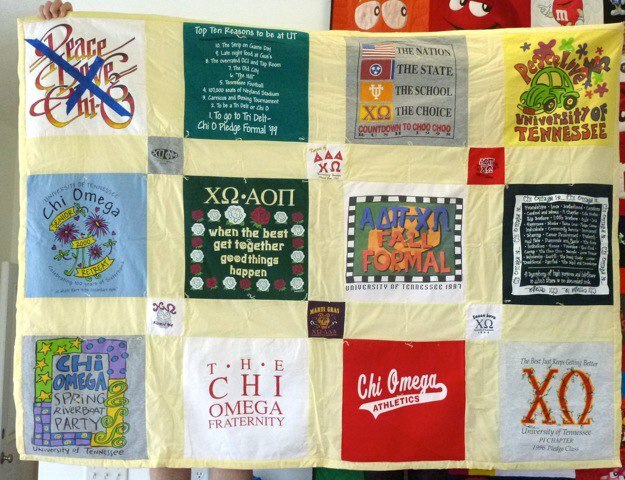 The quilt to the right was made from all sorts of different size T-shirt pieces. Less than half the pieces were able to be cut into the block sizes we use. So we mounted the odd shape and small pieces onto T-shirt material. You cannot tell without looking very closely that the pieces were reset for our block sizes. Below is the same quilt with the blocks boxed that we had to make larger. You can see that these pieces were mounted onto another piece of T-shirt material to make the block the correct size.